Rilakkuma Shop: Fashion Catalogue for Online Shoppers! Fashion Catalogue for Online Shoppers! Introducing LookMuse, an online fashion catalogue featuring fashion items various Singapore blogshops.So if you love online shopping for fashion apparels and accessories, head over www.lookmuse.com and you will be welcomed by a growing list of product listing! 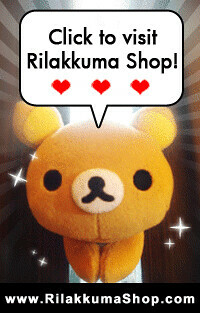 And no.. this has nothing to do with Rilakkuma.. unfortunately. =p But if you love online shopping, we believe you will love this too! *Watch out for special promo codes for different product listings... and happy shopping! LookMuse is currently still under beta and is working to build add in more features to enhance your online shopping experience!